Over Memorial Day Weekend, Ferrari made history by thoroughly ending a 16-year losing streak in Monte Carlo with a first and second place finish during the Formula One Monaco Grand Prix. First place went to driver Sebastian Vettel, who is the first Ferrari driver to win Formula One’s showcase Monaco Grand Prix since Michael Schumacher in 2001. In addition to Vettel’s first-place finish, teammate and fellow Ferrari driver Kimi Raikkonen narrowly missed first place himself but secured a respectable second place finish. It was apparent from the start that Ferrari would be a strong leader in the day’s race, the sixth Formula One race in the championship this year. With the Formula One race off to a smooth start, Raikkonen led for the first 34 laps with Vettel trailing closely behind. However, thanks to a well-timed pit stop near the midpoint of the race, Vettel was able to pull ahead into first and maintain his spot until the end. Additionally, thanks to his car’s ultra soft tires, Vettel was the first and only driver to finish a lap within 1:13:00, earning him the fastest lap of the day. With this amazing finish, Vettel has now positioned in all of the first six Formula One races of 2017 inside the top two places, securing his place as the current first place champion of the event. His superb performance on sixth race of the Formula One Grand Prix as well as second place finish of Raikkonen gave the Ferrari team a total of 43 points, giving them a significant lead of 25 points over the second place Mercedes team. Taking part in the Formula One Championship is the 63rd single-seater to be designed and built by Scuderia Ferrari specifically for the famous racing championship. This year’s model features new alterations to reflect recent rule changes which allow model designs to offer more aerodynamic down-force and more mechanical grip. The Scuderia Ferrari features a lengthened nose and a redesigned front with an aerodynamic duct for easy engine air intake. It also features an updated suspension layout, which features a push rod design and the front and pull rods and the rear. It also features new power-steering and braking systems which have been upsized for 2017. 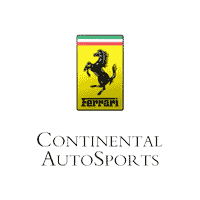 For more information on the Ferrari brand, be sure to view the rest of our blog. You can also contact us online or give us a call with any questions or inquiries about our Ferrari lineup. What do you think of the Ferrari performance at the Monaco Grand Prix? Let us know in the comments below!